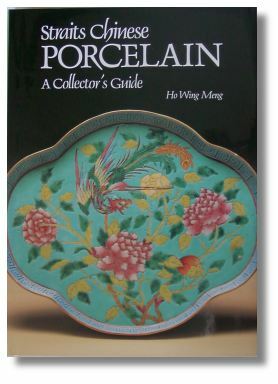 This is my favorite among the books that details Straits Chinese porcelain. The first edition appeared in 1983 but was soon followed by a second, amended, updated and corrected. For the casual browser the first edition would be perfectly all right while if you are more stringent with getting everything right you would want as late edition as possible of this book. 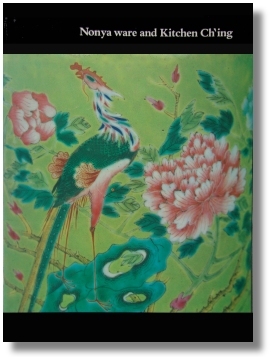 This beautifully illustrated volume presents Straits Chinese porcelain, an outside South East Asia little known category of 19th century polychrome enameled porcelain made in China, exclusively for export to the Straits Chinese communities of Southeast Asia. Some marks, glossary and bibliography included. There is archaeological evidence that ceramics have been made in Vietnam for ten thousand years. This monograph describes the different categories and the location of their manufacture. With examples presented in color. 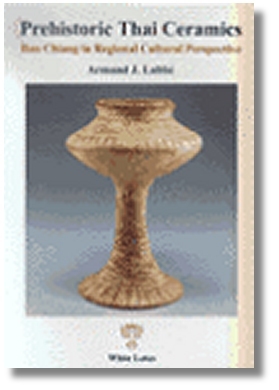 Prehistoric Thai Ceramics: Ban Chiang in Regional Cultural Perspective, by Labbe, Armand J. This is the first comprehensive book of its kind in English, focused exclusively on pottery – the technology, production and artistic development – in Thailand in prehistory. Spanning the period from about 2200 BC to 500 AD, a rich repertoire of pottery working techniques, forms and decorative schemes is uncovered. 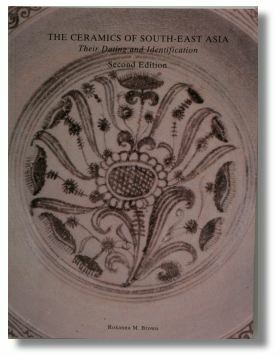 This book examines pottery production in the Northeast, Central and Southeast seabord regions of Thailand. Differences and similarities in production are noted by site, region and chronology. Lavishly illustrated with color plates, maps and charts. 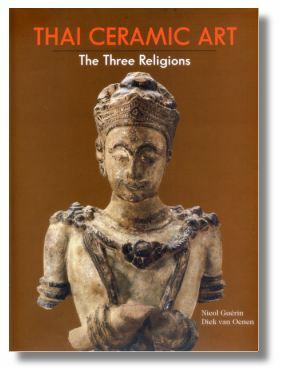 Published: 1st Edition, Thailand 2002. Vietnamese ceramics exhibit a unique combination of indigenous creativity plus elements derived from other cultures such as China, Cambodia, Champa, and India. Decorative motifs, glaze types, production methods, perhaps even attitudes toward potting, differed distinctly from those of China. Using excellent clay from the Red River Valley — smooth, homogenous, gray-white-the Vietnamese created the most sophisticated ceramics in South-east Asia. The most definitive study of Vietnamese ceramics to date, this volume is a collaborative effort from experts around the world, including Vietnam, Japan, England, France, and the United States. 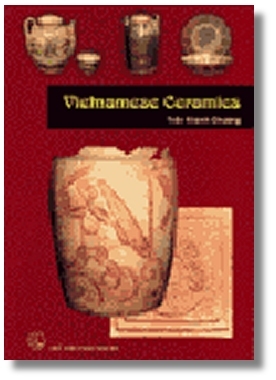 Tracing the history and development of Vietnamese ceramics, the scholars examine the kiln sites of Vietnam, study techniques, and systematically categorize the field according to different traditions that had profound influence on the production of ceramics in Vietnam. A superbly written and well produced book. Highly interesting and one that I personally find interesting to read together with other books, on for example Thai ceramics, for a better understanding of this South Chinese coastal area trade region and their ceramics. Straits Chinese Porcelain: A Celebration of a Unique Malaysian Heritage Showcasing the Datin Seri Kee Ming-Yuet Collection, by Ming-Yuet Kee, is quite a large book with its 28×30 cm impressive frame. 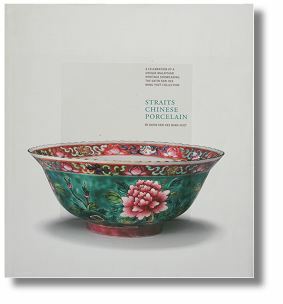 This lavishly illustrated book is a celebration to “Straits Chinese Porcelain as a Malaysian heritage”. This heavily sponsored publication is a catalog of the personal collection of Datin Seri Kee Ming-Yuet, who is also the author. The authentication of the porcelain is credited Professor Qin Xi Lin and Dr. Cao Jian Wen of the Jingdezhen Ceramic Institute. The book features more than 150 pieces dating from the late Qing dynasty and the early years of the Republic are featured. Among them are plates, tea sets, wine warmers, jugs, teapots and bedroom sets. Most of them in undisputed Straits Chinese decoration while a few more general export patterns also have got some recognition. Each piece is accompanied by a detailed description, which are quite interesting both for the porcelain collectors as well as those wanting to become more familiar with the Baba Nyonya culture of the Malaccan peninsula. Beside some patriotic slants in perspective the book contains quite a lot of information of this unique type of porcelain, its history and decoration. The full color photographic illustrations are stunning of the shapes and decorations that the author chooses to show. The only week point I can think of is that the definition of what constitutes Straits Chinese porcelain could have been tighter. Some of the undisputed glory of this magnificent ware is thus maybe not coming to its right but despite this, the book is an excellent starting point. 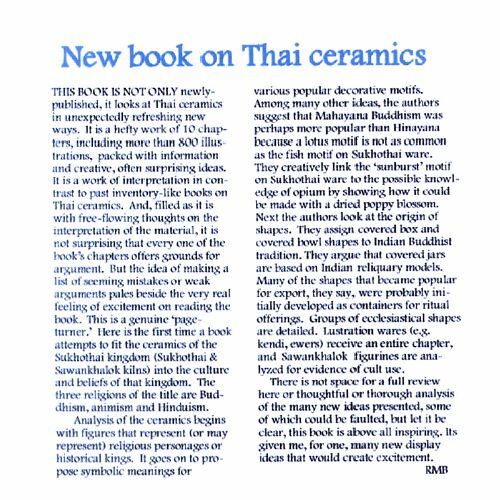 The publication is a detailed study on the 14th-16th century Thai ceramic wares that played a role in the local Buddhist and animist religious ceremonies, approached from an art historical point of view. It also establishes the degree of interaction between the many cultures that influenced the form, design, function and usage of these wares, and draws on the underlying historic, religious and stylistic linkages with India, China, Sri Lanka, Burma, Cambodia and other parts of Southeast Asia. A background to the history, politics, and cultural practices of Thailand introduces the subject, followed by a systematic analysis of the Thai products. Throughout the study, comparisons are made with other Asian cultures, decorative styles and chronology, which add further dimensions to a hitherto relatively unexplored art form. With photographs, maps and line drawings. The authors spent 20 years on the subject and examined over 800 pieces, consisting of sculptures of human beings as well as of animals, and a huge quantity of vessels made for various religious rites and rituals. They examined mostly glazed stoneware produced between 1459-1650, when the kilns at Sukhothai and Sri Satchanalai (Sawankhalok) flourished. These 800 pieces were in many different collections around the world and the authors visited many private collections and museums, including those in Singapore, during their research. A useful list of these collections is included in the book. They did an excellent job detailing the many varieties of shapes and forms produced and adds a good introduction to the political, historical and cultural history of the period. 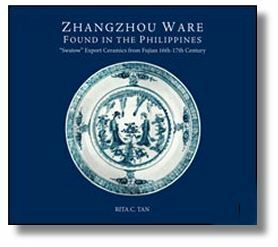 In her review of this book Dr. Roxanna M Brown, Director of the Southeast Asian Ceramics Museum, Bangkok University, calls this book foremost “inspirational” which I choose to interpret that it contains a fair amount of guesswork. I think we should be ok with that and just keep it in mind that we actually don’t have that much written history from 1000 years back in former Siam. We need to study, compare and interpret which I also take as the common meaning that the authors of this volume have done well. All in all, a highly recommended book. 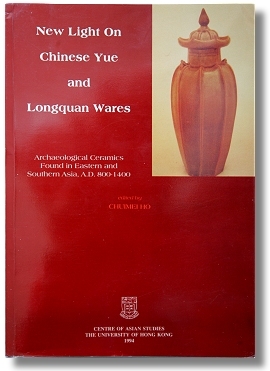 This account of the 16th and 17th century ceramics of Zhangzhou (formerly often called “Swatow china”) is published in connection with the 2007 Yuchengco Museum/Oriental Ceramic Society of the Philippines exhibition. Accounts of the production methods export and trade patterns, archaeological sites and shipwrecked stock complement the 180 annotated color plates of artefacts displayed in the exhibition. With sketch maps, graphics, and index. By: Phan Huy Le et al. Bat Trang, a village not far from Hanoi, has been producing ceramic wares since at least the 14th century. This account of the industry up to the 19th century and the methods and glazes used in producing domestic, decorative and ritual artefacts includes 260 plates in color or black and white, and line drawings of patterns and designs. Bilingual in English and Vietnamese. This second edition is virtually a new book, taking into account discoveries of new burial sites and wares as well as a spate of recent scholarship and articles on Southeast Asian ceramics. 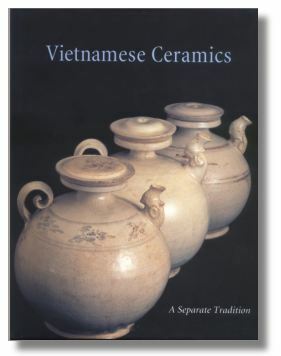 Beautifully illustrated, the text covers Vietnamese ceramics, the Go-Sanh Kilns, Khmer wares, the Sukhothai and Sawankhalok kilns, the Northern and other Thai kilns, and Burmese ceramics.